Ah, Spring. The season of rebirth. Come to think of it, nothing says “new beginnings” like a freshly cleaned household. That’s probably why Spring Cleaning is such a commonly accepted practice. So that’s what we’ll talk about today: the materials, strategies, and mindsets needed to make Spring Cleaning a breeze. By the time you’re done reading this, you’ll be ready to give your home a new, less dusty, lease on life. Just like a knight wouldn’t dare face a dragon without a sword, we can’t possibly start cleaning without the proper gear. If you’ve got a smartphone, you already have a few of these supplies covered. In fact, smartphones have replaced a fair few useful items these days. But they still can’t do the actual cleaning by themselves. Not yet, anyway. Mops, Dusters, Mops, All-purpose surface cleaners etc. While cleaning an entire household is a monumental task, nothing says you must do everything in one day. Instead, plan out a week’s worth of cleaning work day by day. Have each day feature a different area of your household or specific cleaning task. It’s always easier to do large projects in chunks. You keep your motivation and can use the periods in between work to rest. Once you have your itinerary planned out, you’re finally ready to tackle the actual cleaning! This is it. The main event. Get ready, because we’re about to make your place SHINE. Since different cleaning tasks require unique approaches, we’ll break them down into specific sections. First off, cover your hair with that hat so you don’t get dust in it. It can be irritating to try and wash the dust out, so avoiding contact altogether is ideal. Next, you’ll want to open up some windows to let any stray dust out. This’ll mean that while you dust, any excess won’t end up back in your household. Before you get to actually dusting, make sure all surfaces are clear of knickknacks, picture frames etc. so you can dust them individually. If you want to make sure the items end up back in the same spot, take pictures of how they were arranged before you removed them. Now, using rags and surface cleaners, give your furniture a solid wipe-down. Nothing to it! Use your tissues as you see fit if you start sneezing like crazy. Make sure you do all your dusting BEFORE you vacuum. Stray dust can end up on the floor, which you’ll want to vacuum up along with the rest of the dirt. Vacuum the carpets a few times to make sure they’re thoroughly cleansed. For hardwood or tile floors, show them the business end of a nice clean mop. Fun times ahead! This is probably the worst part, honestly. But fear not! Just get your abrasive pads and all-purpose cleaner ready and get scrubbing. You’ll want to be extremely thorough when you scrub toilets and bathtubs. If you haven’t cleaned them in a while, there will be a fair few deposits and grime to remove. It’s good practice to NOT wait until Spring Cleaning to scrub your bathroom and kitchen. Grime builds up fast, and deposits can be hard to remove if they’re left alone for too long. Ok, this part is actually pretty difficult. Everyone has a bunch of stuff they just don’t use anymore. It clutters our closets and litters our drawers, doing nothing but gathering dust. Many people find it hard to part with their possessions, even ones that rarely if ever get used. It really comes down to whether you value extra space over the object taking it up. Odds are that it’s better to have more room rather than an item you never even look at. Once you decide an item’s fate, put it in a garbage bag. Whether or not that bag ends up in the trash is entirely up to you. You can donate useful items to Goodwill or other charitable organizations. 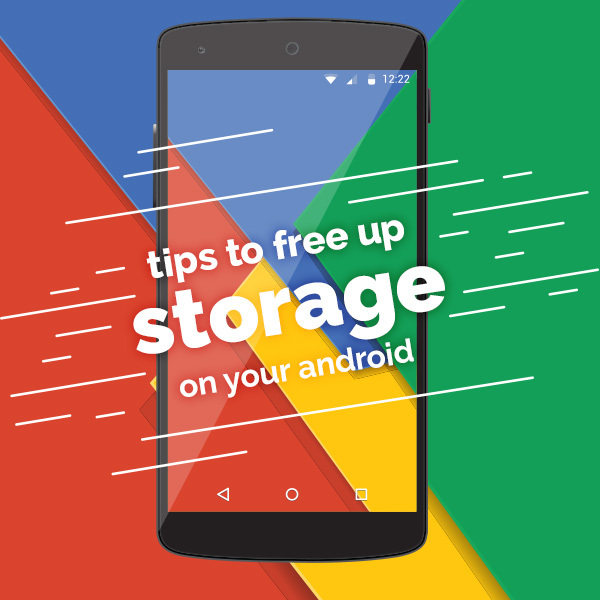 That way you get additional storage space and someone else gets to enjoy the item you never use. Win-win! At the end of the day, it’s healthy to remove clutter. A clear living space often leads to a clearer mind. Once the cleaning is finished and everything is back where it belongs, you can finally relax. Reward yourself by inviting friends to hang out in your newly cleaned living space. Bask in their glowing compliments of your spotless household. You earned it. 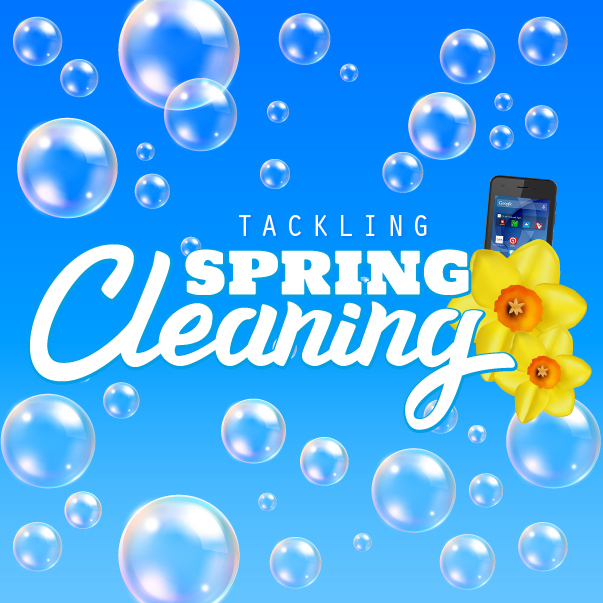 Need a smartphone to help plan out your cleaning list? Or maybe you just need to call friends over to help you out? Luckily for you, Q Link Wireless can help! 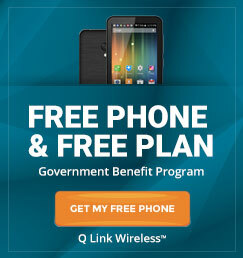 We provide free smartphones and service to qualified customers, so visit us online to see if you’re eligible. Best of luck with the cleaning. Don’t worry, you don’t have to do it again for a whole year!